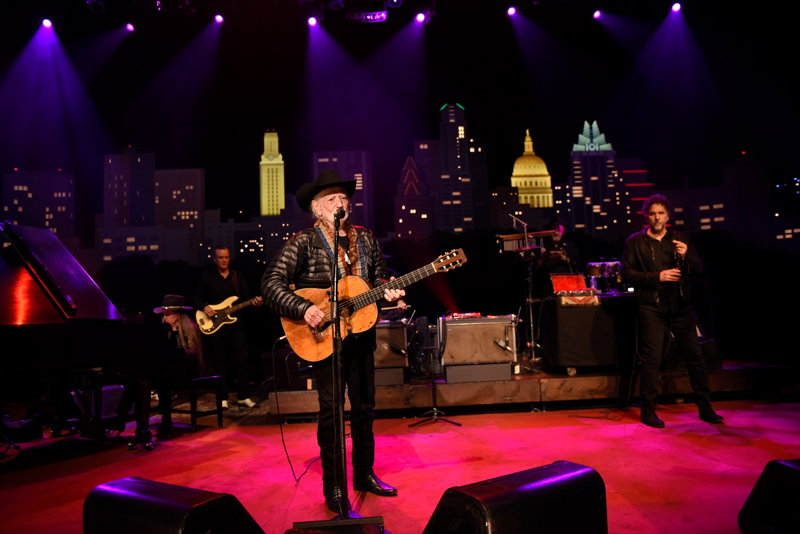 Forty-four years ago, Austin City Limits debuted with a then-struggling artist who would become an American icon. 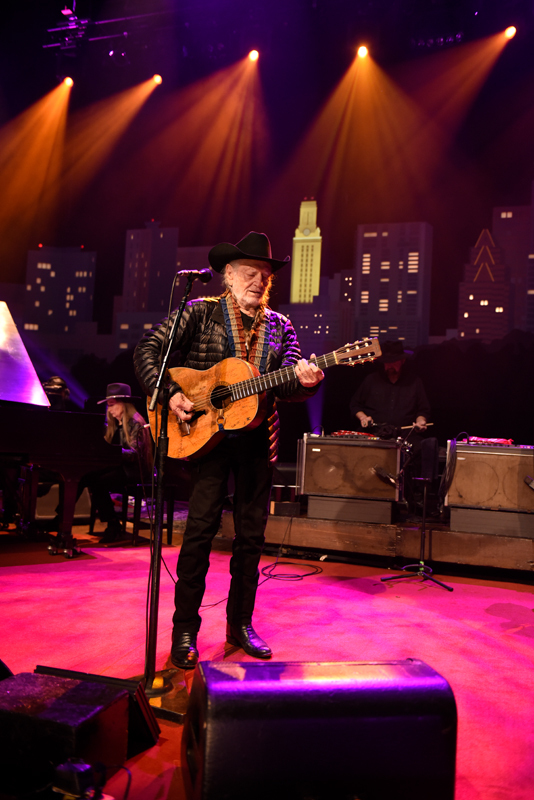 Four decades after the ACL pilot in which he starred hit the airwaves, Willie Nelson returned to our stage for the first time since 2009, when he taped an episode with Asleep at the Wheel, and for the first time with his own Family band since 1999, during the show’s twenty-fifth anniversary. 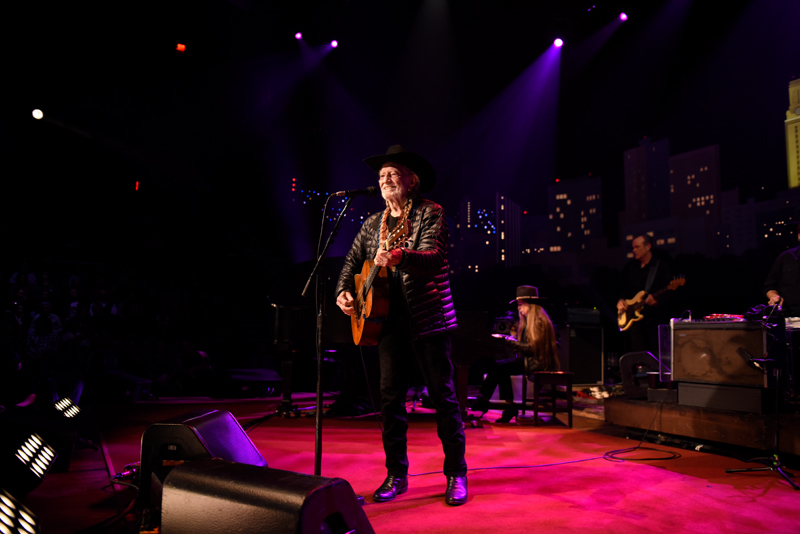 We welcomed back the country maverick as, working without a setlist, he played the hits, deep cuts from the classic country catalog and songs from his latest LP, the Frank Sinatra tribute My Way – a set we streamed live around the world. 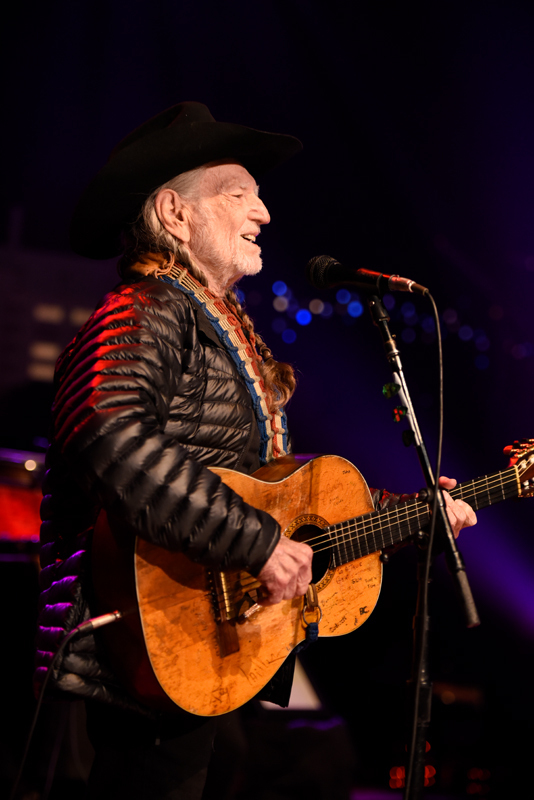 After ACL executive producer Terry Lickona reminded us that Willie launched ACL back in 1974, the eighty-five-year-old took the stage and doffed his cowboy hat to the eager, welcoming crowd. 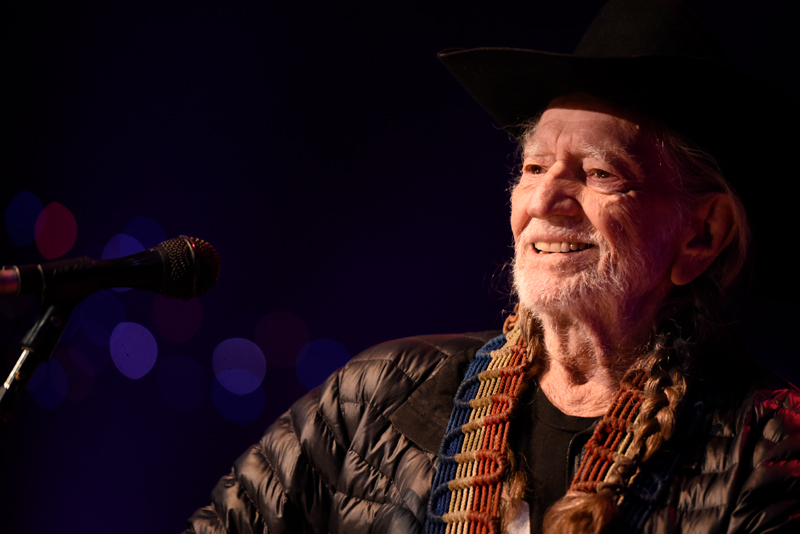 Joined as every by the Family, in service now for forty-five years, Willie launched into “Whiskey River,” the songwriter’s perennial opening number. 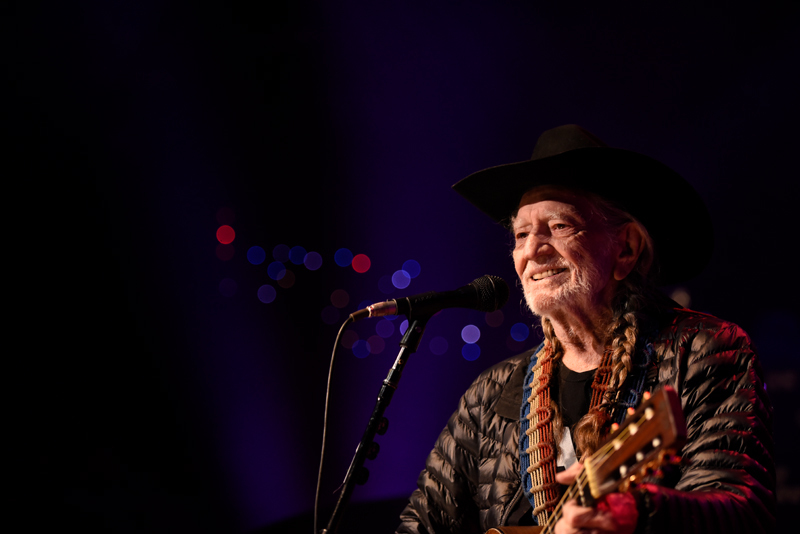 Following an extended guitar solo, Willie then led the band in the galloping “Still is Still Moving to Me.” Skipping any pause between songs, he ran right into “Beer For My Horses,” the tagline of which was sung by the audience. 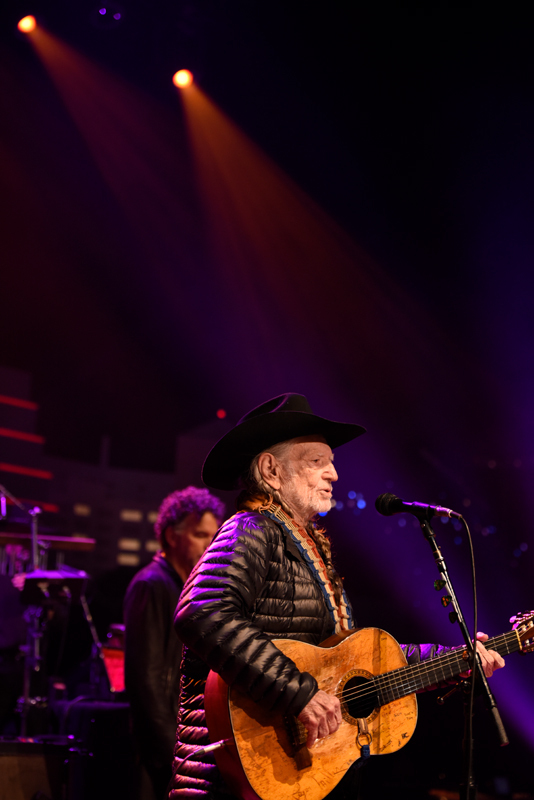 “Let’s do one for Waylon,” Nelson extolled, leading into“Good Hearted Woman,” his classic duet with the late Waymore that also became a chance for crowd participation. Willie turned the spotlight on his sister Bobbie (calling her “Little Sister,” even though she’s two years older) for the piano-led instrumental “Down Yonder,” a 1921 piece made famous in 1951 by Gid Tanner & His Skillet Lickers. 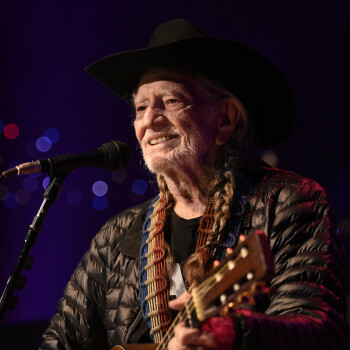 Willie paid tribute to a key influence with the Lefty Frizzell gem “If You’ve Got the Money (I’ve Got the Time),” before moving into a back-to-back medley of his own iconic country tunes “Funny How Time Slips Away” (a hit for Billy Walker), “Crazy” (Patsy Cline) and “Night Life” (Ray Price) – adding a snippet of “Jingle Bells” at the end. Bobbie took the spotlight again for a jaunty rendition of Euday L. Bowman’s “Twelfth Street Rag,” one of the bestsellers of the ragtime era. 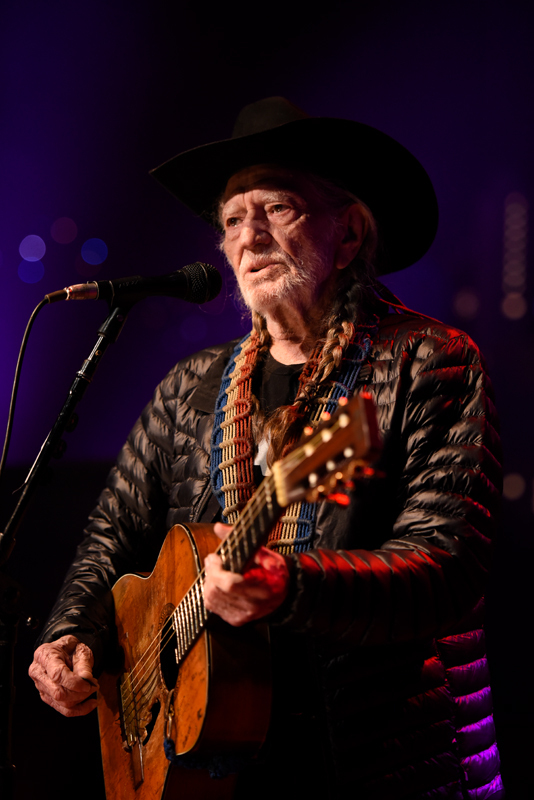 The tempo picked back up for the audience-enhanced “On the Road Again,” which would be Willie’s signature song if he didn’t have a dozen of those already. To say the crowd went wild was an understatement. He then brought the mood back down to “lovely” with “Always On My Mind,” his hit ballad originally associated with Brenda Lee and Elvis Presley, but forever, and properly, associated with Nelson. 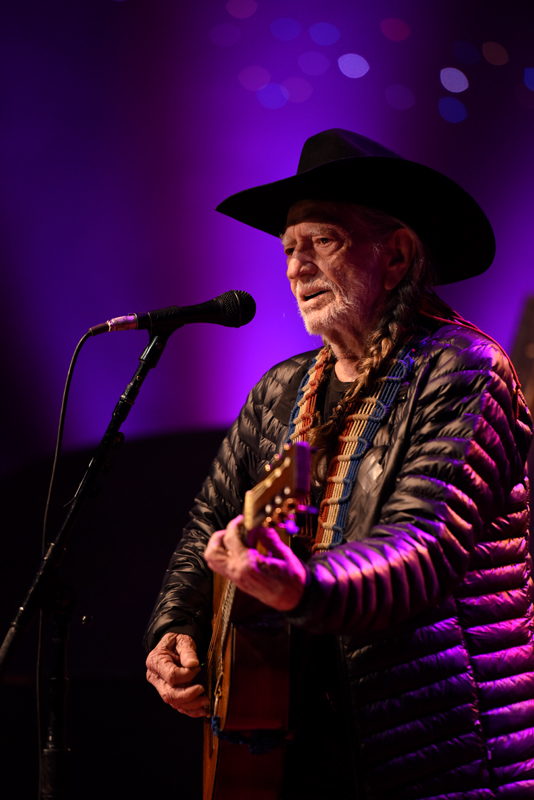 Then it was time for more audience participation with the folk/gospel/bluegrass classics “Will the Circle Be Unbroken” and “I’ll Fly Away,” tunes that have been in Willie’s repertoire for decades. 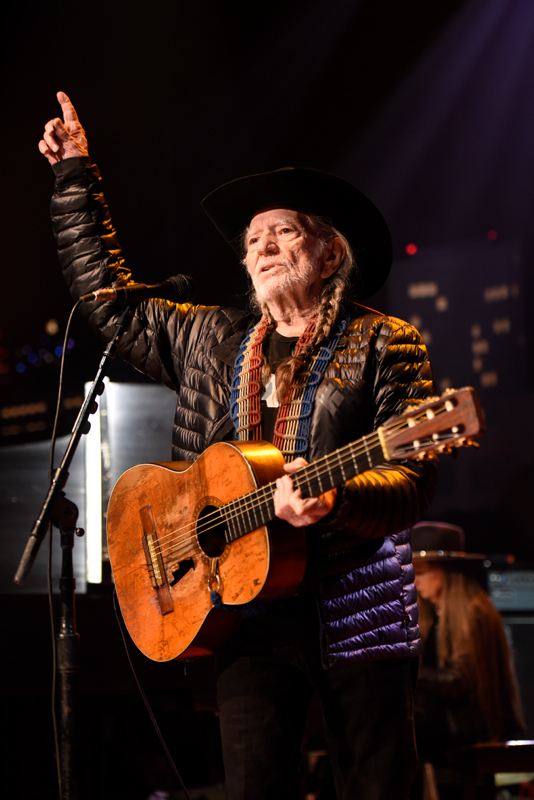 “Thank you, Austin City Limits!” Willie exclaimed, tossing his bandana into the crowd as he exited the stage to the Family continuing to jam, sending the pumped crowd gently into the good night. It was a great show, and we can’t wait for you to see it on your local PBS station early next year.